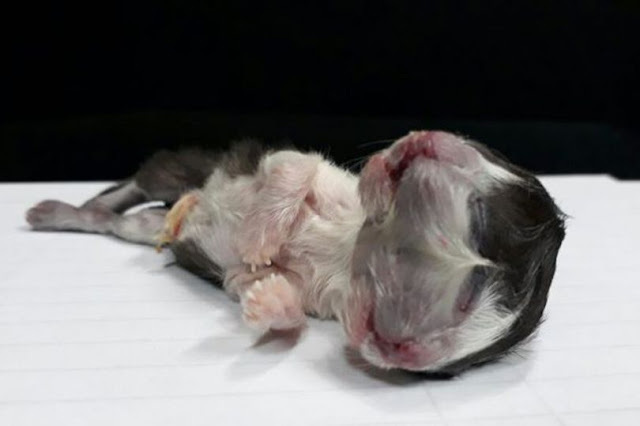 Two-Faced Kitten Was Born Alive And Was Handed To The Government For Scientific Reasons! The body of a two-faced kitten has been preserved so scientists can probe what caused the mutation. 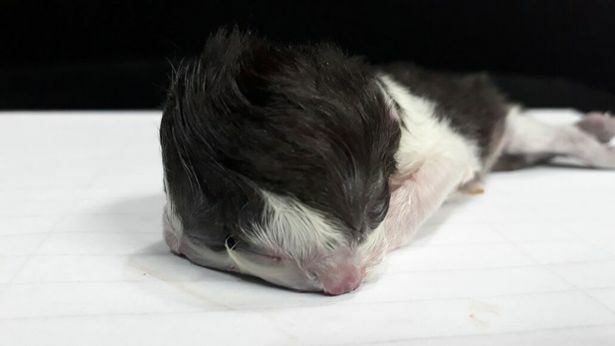 A farmer was left shocked when his cat gave birth to the kitten, which appeared to have two faces - one on either side of its head. He took it to a school Amalfi, a town in Colombia, in a cardboard box, hoping pupils could use it in their science class. But baffled teachers rejected the creature because they did not know what to do with it. One claimed the animal still looked to be alive, despite the farmer reporting that it was dead. "I have never seen in my entire life a kitten with two heads. Finally we decided not to keep the body because we do not have the proper equipment to keep it in." The kitten was taken to the agriculture department, where the secretary of rural development Maricela Escobar Diaz was told about the bizarre case. Andres Garcia Carbajal, vet of the city council, said the deformity could have been caused by a number of factors. He added: "The malformation might be caused by natural factors, or even linked with the food eaten by the mother. It is actually a bizarre case." The kitten was kept in formaldehyde to preserve it so tests can be carried out.